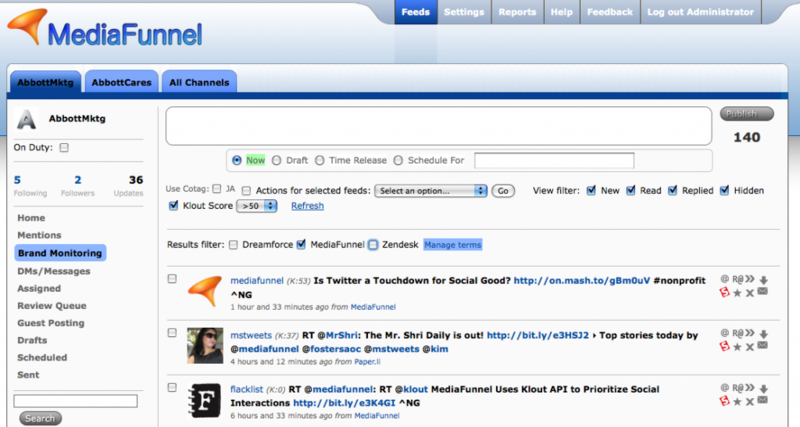 MediaFunnel is an easy solution for managing multiple Twitter accounts. Many organizations have more than one Twitter account and also have many people managing those accounts. The traditional way of working with multiple Twitter accounts and many users was to simply pass the logins around the organization. This is not only difficult to manage, but also creates risks. 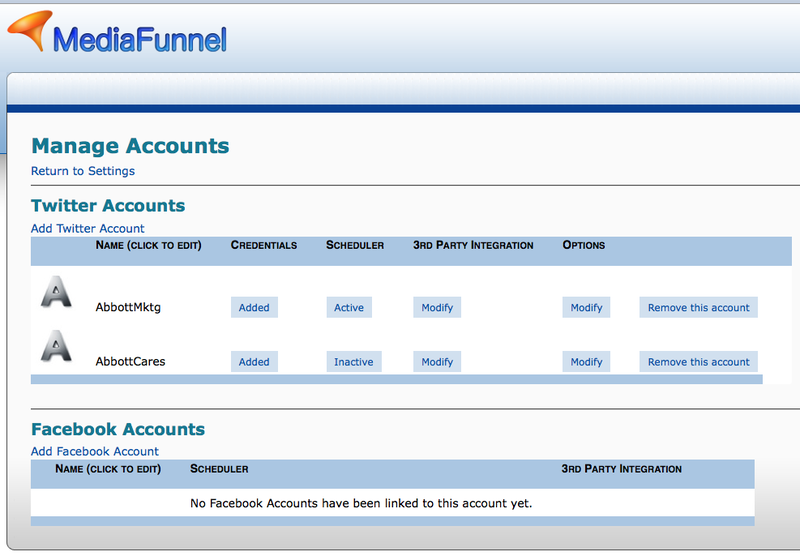 MediaFunnel makes it very affordable for any size organization to manage all Twitter accounts within a single interface. Within MediaFunnel, there’s a simple screen within the administrative interface for connecting to multiple Twitter accounts. A separate screen allows for associating one or more users with each Twitter account. Once a connection is made to Twitter there are a number of options that can be applied to each Twitter account that MediaFunnel is connected to. Once users and accounts are set up in MediaFunnel, each user will see the Twitter accounts, for which he or she has access permissions, in the user interface. From the user interface, a user can monitor for brand mentions and other keywords on Twitter and respond to these mentions. A user can also initiate new Tweets on any of the Twitter accounts in the view. You can easily set up connections to your own multiple Twitter accounts by signing up for the Free Plan or by signing up for a 30 day free trial of the Standard Plan.